The Smart Asset Monitoring Unit that started it all. When we launched Emanate Wireless in 2014, we introduced PowerPath, the world’s most advanced smart Clinical Asset Monitoring unit (CAM) for healthcare devices. PowerPath helps healthcare industry employees improve workflow, achieve lower costs, and enhance the quality of clinical care. PowerPath goes beyond legacy RTLS devices by monitoring AC power, measuring utilization over time, and eliminating the need for battery replacement. The unit provides usage context of the asset along with facilitating location. 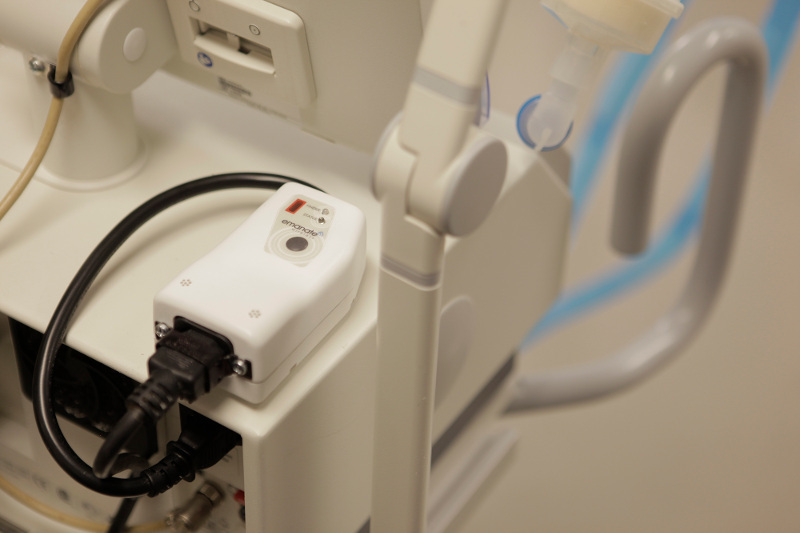 When you place PowerPath on a pluggable medical device, you gain access to a wealth of information that traditional RTLS tags can’t offer. Learn more (PDF). Want to Learn More or Arrange Demo?